For the 1935 film, see Charing Cross Road (film). Charing Cross Road is a street in central London running immediately north of St Martin-in-the-Fields to St Giles Circus (the intersection with Oxford Street) and then becomes Tottenham Court Road. It is so called because it leads from the north in the direction of Charing Cross at the south side of Trafalgar Square, which it connects via St Martin's Place and the motorised east side of the square. What is now Charing Cross road was originally two narrow streets in the West End, Crown Street and Castle Street, the development of Regent Street (parallel to the west) in the mid-18th century coincided with not only the building up of great fields west of the area but also Westminster Bridge which was built as central London and the wider estuary's second bridge after more than a century of pressure, in 1750. These pressures therefore congested the north-south axis of the inner West End almost as much as the relieved London Bridge area. Specifically a major increase in traffic occurred around Piccadilly Circus, Charing Cross and Oxford Street, much of it destined from/to Tottenham Court Road, Bloomsbury and nearby routes to all northerly directions. Charing Cross Road was therefore developed, in conjunction with Shaftesbury Avenue, by the Metropolitan Board of Works under an 1877 Act of Parliament, the Act's total costs, including demolition and rebuilding of many rows of buildings across London was £778,238. The two streets and others such as the Thames Embankment, Northumberland Avenue and the Kingsway-Aldwych superstructure were built to improve traffic flow through central London. 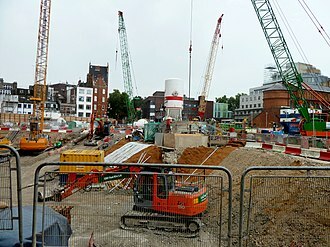 The scheme abolished some of the worst slums in London which delayed progress in construction while they were rehoused. Charing Cross Road is renowned for its specialist and second-hand bookshops, the section from Leicester Square Underground station to Cambridge Circus is home to specialist bookshops, and more general second-hand and antiquarian shops such as Quinto Bookshop, Henry Pordes and Any Amount of Books. Most of these shops are located on the ground floor of a block owned by a housing association, which decided in 2001 to raise the rents sharply to bring them closer to the market level, this was opposed by the book dealers, who felt that they were providing a valuable service and contributing to the unique character of the area, and should not be treated in this way by a not-for-profit body. The association's counter-argument was that if the booksellers did not pay a market rent they were being subsidised by its low-income tenants, the booksellers attracted considerable public support and a reduced rent increase was imposed. Several of the bookshops closed nonetheless, including Silver Moon, reputedly Europe's largest women's interest bookshop, which became part of Foyles. Other shops closed more recently, Zwemmers art bookshop, Shipley the art bookshop in December 2008 and Murder One in 2009. Smaller second-hand and specialist antiquarian bookshops can be found on the adjoining Cecil Court. 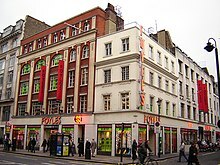 The northern section between Cambridge Circus and Oxford Street includes more generalist bookshops such as the venerable Foyles. A long-standing correspondence between New York City-based author Helene Hanff and the staff of a bookshop on the street, Marks & Co., was the inspiration for the book 84, Charing Cross Road (1970). 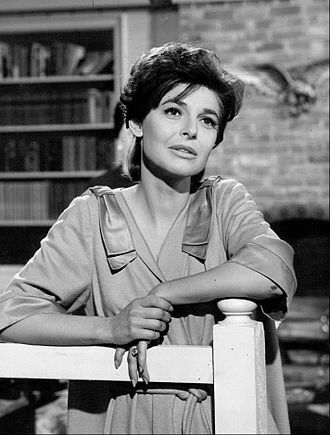 The book was made into a 1987 film starring Anne Bancroft and Anthony Hopkins and also into a play and a BBC radio drama. 84 Charing Cross Road, located just north of Cambridge Circus, has not been a bookshop for many years; at street level it is now a restaurant (entered round the corner in Cambridge Circus), but the upper levels of the building remain as originally constructed. A small brass plaque, noted by Hanff in her book "Q's Legacy", remains on the stone pilaster facing Charing Cross Road. The music venue the Astoria was located here, as is one of the sites of St Martin's Arts College, opening in 1939. 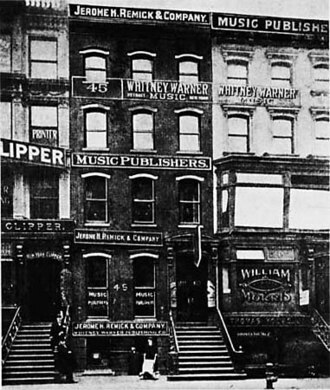 To the northeast of Charing Cross Road are the music shops on Denmark Street (known as Britain's Tin Pan Alley). A number of theatres are on or near Charing Cross Road, such as the Phoenix Theatre (which has its entrance on the adjoining Phoenix Street), the Garrick Theatre and Wyndham's Theatre. Beneath the grille in the traffic island between Charing Cross Road's junction with Old Compton Street, in the middle of the road, the old road signs for the now-vanished Little Compton Street can be seen, this road once joined Old Compton Street with New Compton Street. On the east side of the road's southern end, at the joining of St Martins Lane, is a statue of Edith Cavell. Towards the north end is the Phoenix Garden – an environmental garden run by local residents. 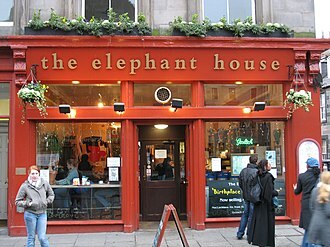 In the Harry Potter books, the Leaky Cauldron pub is located on Charing Cross Road. However, on screen, the locations used are Chez Michelle, a florist in Borough Market, for the exterior in Harry Potter and the Prisoner of Azkaban and the Glass House, an optician in Leadenhall Market, for the entrance in Harry Potter and the Goblet of Fire. 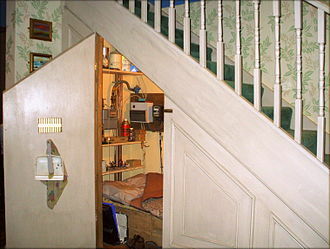 Most interior filming was done on set. ^ a b c d Weinreb et al. 2008, p. 149. ^ Bradley, Simon; Pevsner, Nikolaus (2003). The Buildings of England. 6: Westminster. p. 401. ISBN 0-300-09595-3. ^ Weinreb et al. 2008, p. 134. ^ The location of The Leaky Cauldron is implied in the earlier books but stated explicitly in Harry Potter and the Deathly Hallows; Chapter 26, page 423 Bloomsbury Edition, states "...He opened his eyes on Charing Cross Road. 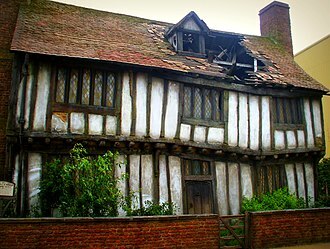 Muggles bustled past wearing the hangdog expressions of early morning, quite unconscious of the little inn's existence." ^ Jones, Richard. "Harry Potter Film Locations - London Gallery". Richard Jones's Free Harry Potter London Tour. Richard Jones. Retrieved 13 February 2017. Wyndhams Theatre is a West End theatre, one of two opened by the actor/manager Charles Wyndham. Located on Charing Cross Road in the City of Westminster, it was designed c.1898 by W. G. R, the architect of six other London theatres between and 1916. It was designed to seat 759 patrons on three levels although refurbishment increased this to four, the theatre was Grade II* listed by English Heritage in September 1960. The first play performed there was a revival of T. W. Robertsons David Garrick, in 1910, Gerald du Maurier began an association with the theatre which lasted 15 years and to include the stage debut of the screen actress Tallulah Bankhead. Du Mauriers small daughter, often watched her fathers performance from the wings, thirty years she presented her own play, The Years Between, on the same stage. 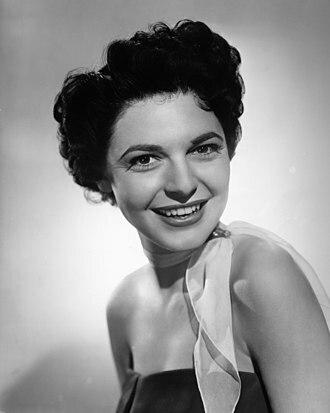 In April 1953 the theatre premiered Graham Greenes first play, The Living Room, in January 1954, a small-scale musical pastiche, Sandy Wilsons The Boy Friend, which had begun life at the much smaller Players Theatre, was moved to the Wyndham stage. 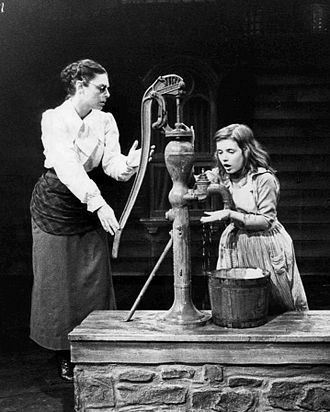 It ran for 2,078 performances, before transferring to Broadway. During the 60s and early 70s the theatre continued to provide a setting for such as Alec Guinness, Vanessa Redgrave. The blockbuster of the decade – Godspell – opened at Wyndhams in January 1972, the original cast included David Essex, Marti Webb and Jeremy Irons. Among more recent distinguished productions were the world premiere of The Ride Down Mt. Morgan by Arthur Miller, twenty-five years after making her debut there, Diana Rigg returned to play a hugely successful season as Medea. The critically acclaimed comedy, Art, by Yasmina Reza, began its run at Wyndhams in 1996 with Albert Finney, Tom Courtenay. It opened in October 1996, and transferred to the Whitehall Theatre in October 2001, madonna made her West End debut there in 2002, performing in a sell-out production of Up For Grabs. Since then, theatre patrons have seen Sienna Miller star alongside Helen McCrory, Reece Shearsmith, a large-scale replica of the facade of the theatre was constructed at the Universal Studios theme park in Orlando as part of the parks London themed area. Northumberland Avenue is a street in the City of Westminster, Central London, running from Trafalgar Square in the west to the Thames Embankment in the east. The road was built on the site of Northumberland House, the London home of the Percy family, when built, the street was designed for luxury accommodation, including the seven-storey Grand Hotel, the Victoria and the Metropole. The Playhouse Theatre opened in 1882 and become a significant venue in London, the street has been commemorated in the Sherlock Holmes novels including The Hound of the Baskervilles, and is a square on the British Monopoly board. The street is around 0.2 miles long and part of the A400 and it runs from Trafalgar Square eastwards towards the Thames Embankment. At the eastern end are the Whitehall Gardens and the Golden Jubilee Bridges over the River Thames, the nearest bus route is London Bus Route 91 and the nearest tube stations are Charing Cross and Embankment. The area which is now occupied by Northumberland Avenue was originally called Hartshorn Lane and it was formed around 1491 after the Abbott of Westminster granted land to the grocer, Thomas Walker, including an inn known as the Christopher and stables. The land was sold to Humfrey Cooke in 1516, to John Russell in 1531, in 1546, it was sold back to Henry VIII. The estate became the property of Algernon Percy, 10th Earl of Northumberland when he married Howards great-great niece, Lady Elizabeth, in 1642, in turn, the street was named Northumberland Street. The house was damaged in the Wilkes election riots of 1768, by the 18th century, Northumberland Street was primarily used as a thoroughfare between markets in the West End of London and the wharfs along the Thames. In 1720, historian John Strype wrote that Northumberland Street was much clogged and pestered with Carts repairing to the Wharfs, in June 1874, the whole of Northumberland House was purchased by the Metropolitan Board of Works and demolished to form Northumberland Avenue, which would accommodate hotels. Contemporary planning permissions forbade hotels to be taller than the width of the road they were on, part of the parallel Northumberland Street was demolished in order to make way for the avenues eastern end. Book retailers such as the Borders Group have failed to adjust to these changes, thus there has been a steep decline in the number of operating traditional and independent bookshops. However, still heavily influential on the trade globally, British publishers such as Penguin Books and Pearson remain dominant players within the industry and continue to publish titles gloablly. By the early 15th century the majority of those engaged in these activities were situated in London, by the 20th century, as literacy became increasingly universal within society and disposable income increased, publishers were faced with new opportunities. Technology has extensively affected developments within the publishing industry, bookshops have begun to decline over the years, with just over 73 closures in 2013 alone, the UK lost 7% of its remaining Independent book stores. The number of independent book shops has now fell below 1,000 whilst even bigger booksellers such as Borders went into liquidation, in 2013 the publishing contributed to the UK creative economy with 231,000 jobs that had an almost equal split between men and women. From Piccadilly Circus to Cambridge Circus it is in the City of Westminster, and from Cambridge Circus to New Oxford Street it is in the London Borough of Camden. Charles Booths Poverty Map shows the neighbourhood makeup shortly after Shaftesbury Avenue opened, at the intersection of Shaftesbury Avenue and Charing Cross Road there is the large Palace Theatre. Finally, the end of the road has another large theatre. The former Saville Theatre is on Shaftesbury Avenue, this became a cinema in 1970, first known as ABC1 and ABC2, another cinema, the Soho Curzon, is located about halfway along the street. Shaftesbury Avenue is a boundary of Londons Chinatown, the number of Chinese businesses on the street has been on the increase. Cat Stevens was born in Shaftesbury Avenue, Shaftesbury Avenue was a film location for, and is mentioned in, Harry Potter and the Deathly Hallows – Part 1. The street is mentioned in the Dire Straits song Wild West End, the Momus song Shaftesbury Avenue, a Shaftesbury Avenue road sign is seen on the wall in Edd Chinas workshop in early episodes of Wheeler Dealers. Borough Market is a wholesale and retail food market in Southwark, Central London, England. 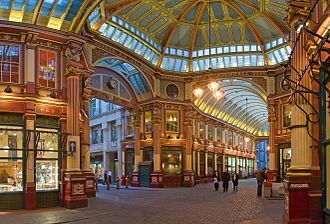 It is one of the largest and oldest food markets in London, in 2014, it celebrated its 1, 000th birthday. The retail market operates on Wednesdays and Thursdays from 10am to 5pm, Fridays from 10am to 6pm, the wholesale market operates on all weekday mornings from 2 a. m. to 8 a. m. It was first mentioned in 1276, although the market itself claims to have existed since 1014, the City of London received a royal charter from Edward VI in 1550 to control all markets in Southwark, which was confirmed by Charles II in 1671. 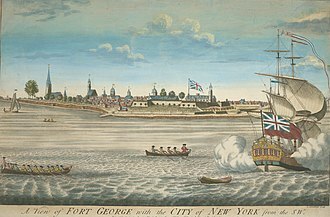 However, the market caused traffic congestion that, in 1754. 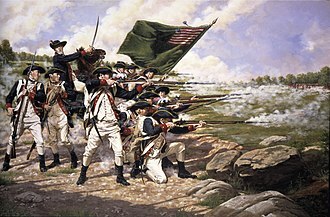 The Act allowed for the parishioners to set up another market on a new site. During the 19th century, it one of Londons most important food markets due to its strategic position near the riverside wharves of the Pool of London. The present buildings were designed in 1851, with additions in the 1860s, work to date includes the re-erection in 2004 of the South Portico from the Floral Hall, previously at Covent Garden, which was dismantled when the Royal Opera House was reconstructed in the 1990s. The original Convent Garden building was listed and the portico was Grade II listed in 2008. The present-day market mainly sells speciality foods to the general public, however, in the 20th century, it was essentially a wholesale market, selling produce in quantity to greengrocers. It was the supplier, along with Covent Garden, of fruits. Amongst the notable businesses trading in the market were Vitacress, Lee Brothers, Manny Sugarman, Eddy Robbins, Verde, AW Bourne and Elsey, JO Sims, the main importer for South African citrus fruit, were located in the market. Stallholders come to trade at the market from different parts of the UK, amongst the produce on sale are fresh fruit and vegetables, meat and freshly baked bread and pastries. There is a variety of street food on sale for lunchtime visitors who flock to the market. The market is a charitable trust administered by a board of volunteer trustees, small traders are supported to meet these standards. Borough Market has become a place to buy food. Piccadilly Circus is a road junction and public space of Londons West End in the City of Westminster, built in 1819 to connect Regent Street with Piccadilly. In this context, a circus, from the Latin word meaning circle, is an open space at a street junction. Piccadilly now links directly to the theatres on Shaftesbury Avenue, as well as the Haymarket, Coventry Street, the Circus is close to major shopping and entertainment areas in the West End. 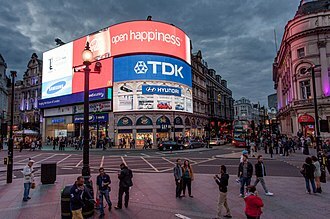 Its status as a traffic junction has made Piccadilly Circus a busy meeting place. 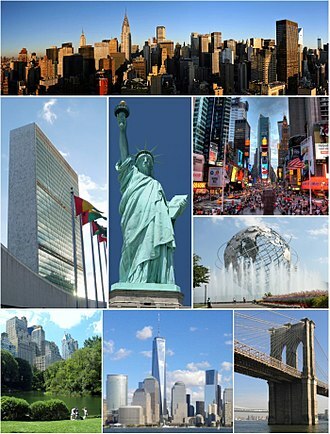 It is surrounded by several buildings, including the London Pavilion and Criterion Theatre. Directly underneath the plaza is Piccadilly Circus tube station, part of the London Underground system, the street was known as Portugal Street in 1692 in honour of Catherine of Braganza, the queen consort of King Charles II of England but was known as Piccadilly by 1743. 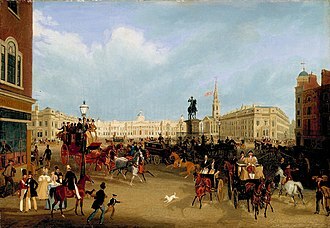 Piccadilly Circus was created in 1819, at the junction with Regent Street, around 1858 it was briefly known as Regents Circus. The circus lost its form in 1886 with the construction of Shaftesbury Avenue. The junction has been a busy traffic interchange since construction, as it lies at the centre of Theatreland and handles exit traffic from Piccadilly. The Piccadilly Circus tube station was opened 10 March 1906, on the Bakerloo line, in 1928, the station was extensively rebuilt to handle an increase in traffic. The junctions first electric advertisements appeared in 1910, from 1923, traffic lights were first installed on 3 August 1926. During World War II many servicemens clubs in the West End served American soldiers based in Britain, at the start of the 1960s, it was determined that the Circus needed to be redeveloped to allow for greater traffic flow. This concept was kept throughout the rest of the 1960s. A final scheme in 1972 proposed three octagonal towers to replace the Trocadero, the Criterion and the Monico buildings. The plans were rejected by Sir Keith Joseph and Ernest Marples, the key reason given was that Holfords scheme only allowed for a 20% increase in traffic. Bookselling is the commercial trading of books, the retail and distribution end of the publishing process. People who engage in bookselling are called booksellers, bookwomen, or bookmen, the founding of libraries in 300 BC stimulated the energies of the Athenian booksellers. In Rome, toward the end of the republic, it became the fashion to have a library, and Roman booksellers carried on a flourishing trade. The spread of Christianity naturally created a demand for copies of the Gospels, other sacred books. The modern system of bookselling dates from soon after the introduction of printing, in the course of the 16th and 17th centuries the Low Countries for a time became the chief centre of the bookselling world. Modern book selling has changed dramatically with the advent of the Internet, with major websites such as Amazon, eBay, and other big book distributors offering affiliate programs, book sales have now, more than ever, been put in the hands of the small business owner. 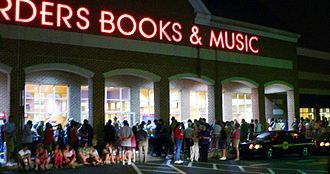 Bookstores may be part of a chain, or local independent bookstores. Stores can range in size offering from several hundred to several hundred thousands of titles and they may be brick-and-mortar stores or internet only stores or a combination of both. Sizes for the larger bookstores exceed half a million titles, bookstores often sell other printed matter besides books, such as newspapers and maps, additional product lines may vary enormously, particularly among independent bookstores. Another common type of bookstore is the used bookstore or second-hand bookshop which buys and sells used, a range of titles are available in used bookstores, including in print and out of print books. Book collectors tend to frequent used book stores, large online bookstores offer used books for sale, too. In the book of Jeremiah the prophet is represented as dictating to Baruch the scribe and these scribes were the earliest booksellers, and supplied copies as they were demanded. Aristotle possessed an extensive library, and Plato is recorded to have paid the large sum of one hundred minae for three small treatises of Philolaus the Pythagorean. Harry Potter is a series of fantasy novels written by British author J. K. Rowling. The novels chronicle the life of a wizard, Harry Potter. Since the release of the first novel, Harry Potter and the Philosophers Stone, on 26 June 1997, the series has now been translated into multiple languages including French, Spanish and Swedish to name a few. They have attracted a wide audience as well as younger readers. 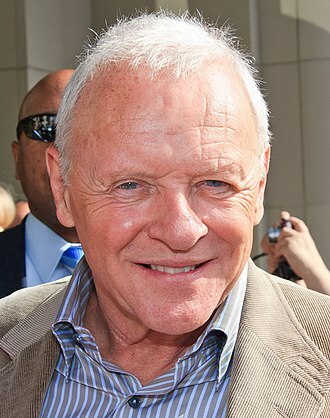 The series has had its share of criticism, including concern about the dark tone as the series progressed, as well as the often gruesome. As of May 2013, the books have more than 500 million copies worldwide, making them the best-selling book series in history. The series was published in English by two major publishers, Bloomsbury in the United Kingdom and Scholastic Press in the United States. The original seven books were adapted into a film series by Warner Bros. Pictures, which has become the second highest-grossing film series of all time as of August 2015, in 2016, the total value of the Harry Potter franchise was estimated at $25 billion, making Harry Potter one of the highest-grossing media franchises of all time. A series of genres, including fantasy, coming of age and the British school story. According to Rowling, the theme is death. 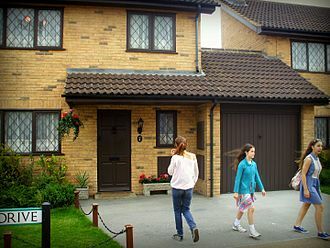 Other major themes in the series include prejudice, Rowling updates the series with new information and insight, and a pentalogy of spin-off films premiering in November 2016, among many other developments. Most recently, themed attractions, collectively known as The Wizarding World of Harry Potter, have built at several Universal Parks & Resorts amusement parks around the world. The wizarding world exists parallel to the Muggle world, albeit hidden and his magical ability is inborn and children with such abilities are invited to attend exclusive magic schools that teach the necessary skills to succeed in the wizarding world. Harry becomes a student at Hogwarts School of Witchcraft and Wizardry, each novel chronicles one year in Harrys life during the period from 1991 to 1998. The books contain many flashbacks, which are experienced by Harry viewing the memories of other characters in a device called a Pensieve. The lions at Nelson's Column were not finished until nearly 30 years after the square opened. Regent Street proposal, published 1813, titled "PLAN, presented to the House of Commons, of a STREET proposed from CHARING CROSS to PORTLAND PLACE, leading to the Crown Estate in Marylebone Park"
Cecil Court on a weekday afternoon. Workmen preparing the building for demolition in October 2008. The Astoria with scaffolding prior to demolition. Sir John Thwaites, first chairman of the Board, in 1858. James Macnaghten Hogg in 1887. Loch Shiel, where scenes from Prisoner of Azkaban were filmed. The Admiral Duncan public house. Director Mike Newell described the book as "big as a house brick".